Union of Artists of Ukraine [Спілка художників України; Spilka khudozhnykiv Ukrainy]. The only official organization of artists and art scholars that existed in Soviet Ukraine after the Party banned all other artistic organizations in 1932 and set up an organizational committee. In 1938 the union was officially founded at its first congress. Subsequent congresses were held every five or six years from 1956. The union was divided into sections (painting, sculpture, poster design, graphic art, large-scale decorative art, applied art, artistic design, stage design) and commissions (art criticism and art scholarship). The Art Fund of the Ukrainian SSR was administered by it. The union was divided into 20 oblast organizations. In 1983 their combined membership was 2,200. 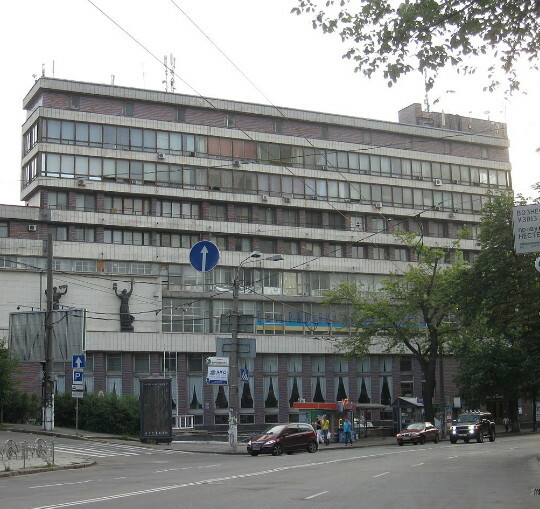 The union’s official organs have been Maliarstvo i skul’ptura, later Obrazotvorche mystetstvo (1935–41), and then Obrazotvorche mystetstvo (1970–). Its presidents have been I. Boichenko (1938–41), Oleksandr S. Pashchenko (1941–4), Vasyl Kasiian (1944–9), Oleksii Shovkunenko (1949–51), M. Khmelko (1951–5), Mykhailo Derehus (1955–62), Vasyl Borodai (1968–82), Oleksander Skoblykov (1982–3), Oleksandr Lopukhov (1983–89), and Volodymyr Chepelyk (elected in 1990). In the late 1980s the union freed itself of Party control, and it no longer propagates socialist realism as the only artistic approach. Many of Ukraine’s talented artists have never been members of the union. In 1998 the union was granted the status of a national union and changed its name to National Union of Artists of Ukraine. A referral to this page is found in 17 entries.